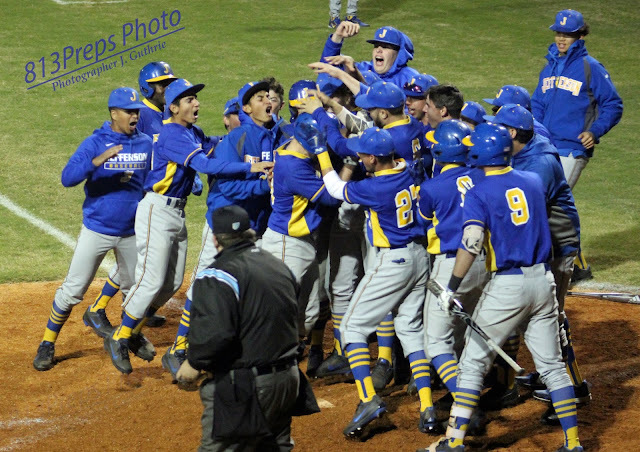 Jefferson senior Charlie Welch is mobbed at home plate after a home run against Steinbrenner earlier this season. The Dragons will face Clay in Wednesday's FHSAA Class 6A state semifinals in Fort Myers. TAMPA – Expectations can sometimes be as big an opponent for a team as any opposing force in the opposite dugout. 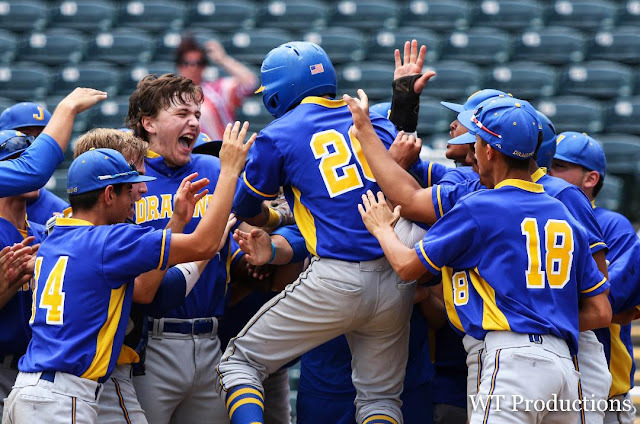 Jefferson’s baseball team learned that quickly at the start of the 2018 campaign and on a few occasions, those expectations and the pressure behind them bubbled over for the Dragons in some challenging ways. But in the end hype, attention and expectations are usually there for a reason, and the truly great teams find a way to rise up to those factors and find success. This group of Dragons’ players want to meet the expectations placed on them and more importantly, want to be remembered as a truly great team, and Wednesday they approach that challenge in the form of the FHSAA Class 6A state semifinals against Green Cove Springs Clay (24-6) at Fort Myers’ Hammond Stadium at 10 a.m. The program that produced world champion MLB players such as Fred McGriff, Tino Martinez and Luis Gonzalez (the latter two played on the last team to reach the state semifinal in 1985), is in search of the first state championship in Jefferson’s 78-year history of baseball. Jefferson junior SP Mike Dominguez. On the mound though, Dominguez has been the Dragons ace. The junior and University of Tampa verbal commit is a crafty right-hander who has posted a 7-2 record this season with a 1.14 ERA, including three big wins in region play over Land O’Lakes, Jesuit and Dunnellon. The last of which, may have been Dominguez best showing of his career, tossing a complete-game, seven-inning shutout, while allowing just one hit and striking out 12. Complementing Dominguez’s efforts on the hill is a potent Dragons offense that features four NCAA Division I commits led by four-year varsity starter Robby Martin. Martin, a Florida State University signee and potential MLB first-year player draft pick, has been a big part of what Jefferson has built over the past few years. Martin is a well-rounded producer for the Dragons, hitting .446, with 30 runs scored and 21 RBI, while also providing key innings late in games for his team on the mound with 25 strikeouts in 15 innings of work. 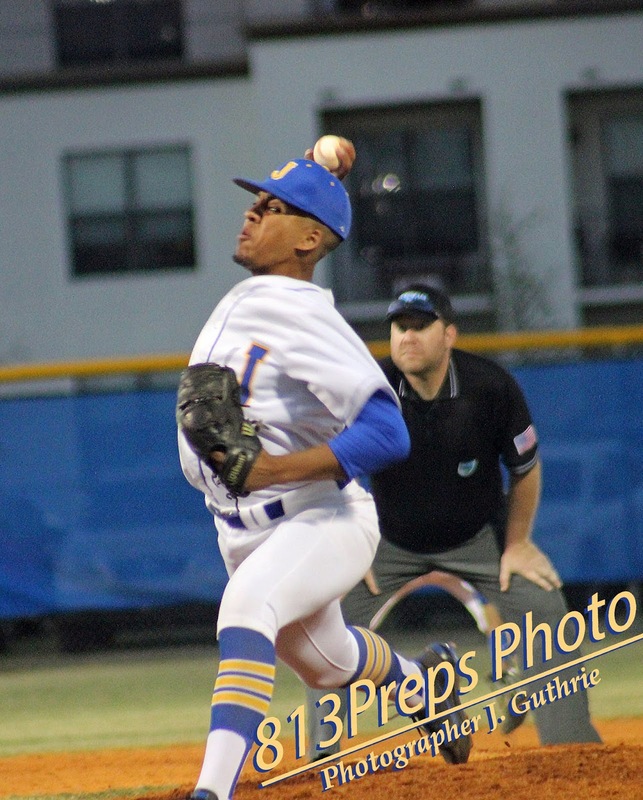 After a 22-1 fall baseball season, the Dragons entered the 2018 regular season hoping to be world-beaters, but found an immediate reality check dropping its opener to Alonso, 5-0. Jefferson responded by winning six-straight after that, including a big win at Plant and over district foe Robinson, but again skidded dropping its first two Saladino Tournament pool-play games to Riverview and Hillsborough, and then a week later dropped back-to-back district games to Jesuit and Robinson. But as the season rolled along, the losses turned into fuel moving forward instead of question marks surrounding the preseason hype. A second meeting with Jesuit went the Dragons way, and steadily the record meant less and the focus on getting better became more important. That attitude shift meant the Dragons learned to weather storms including a district final loss to Jesuit, that instead of proving a stumbling block just geared the team up for a potential meeting in the region play – a game Jefferson would take in extra-innings. Jefferson senior captain Robby Martin. A midseason lineup restructuring moved Martin to the two-hole allowing the big, lefty hitter to support the Dragons leadoff man AJ Mathis (a fellow FSU signee), who has 37 hits and 25 walks, followed by 46 stolen bases and 42 runs scored. The move has also bore fruit for the Dragons third Division I senior commit, Charlie Welch (Pepperdine signee) and junior Marc DeGusipe (himself a verbal commit to Florida Atlantic) hitting behind the two FSU signees. Welch is hitting .455, with a team leading 25 RBI, just ahead of DeGusipe who has 23 RBI as well as a 5-2 record on the mound this season in 11 appearances. 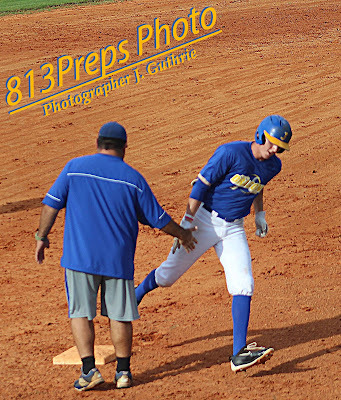 Jefferson has found a will-to-win attitude over the last month, winning two games in of its last five games in extra-innings and a third in a seventh-inning rally at Land O’ Lakes. 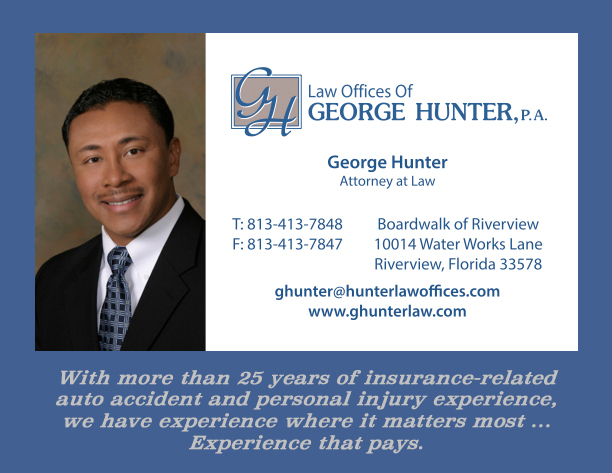 The Dragons will face an equally battle-tested opponent Wednesday morning in Fort Myers, as Clay was also a district runner-up, which bested its region champion Ponte Vedra in extra-innings of the region semifinals, before advancing to the state semifinals with a 2-0 win over Lynn Haven Mosley last week.